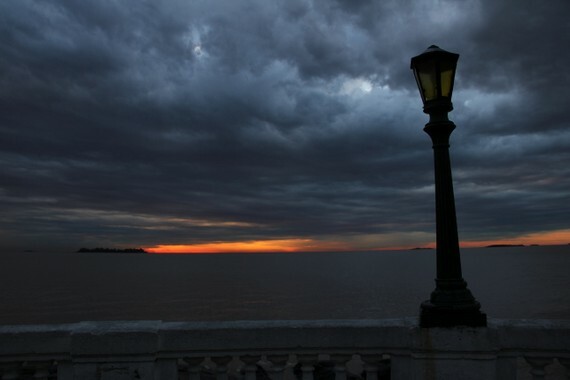 You don’t hear to too much about Uruguay, until you hit Buenos Aires. 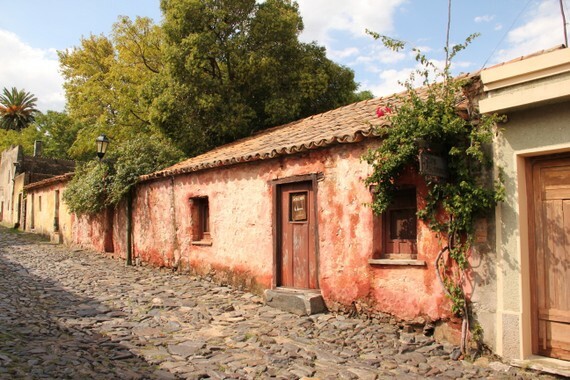 The town of Colonia del Sacramento is a mere hour boat ride from the Argentine capital and is a key player in its colonial history. Set up by the Portuguese in 1680 as port to smuggle in riches to BA, Colonia was so strategically situated that the Spanish got jealous and went to battle to snag the city– 11 times over the course of 150 years. 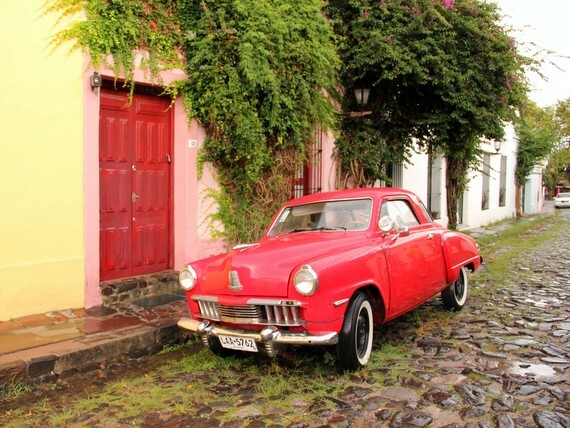 With the perma-flip-flopping of power and nationalistic renovations, Colonia has become one of the most confused yet charming colonial towns in South America– mashed up with the architectural styles from three distinct cultures and one wacky history. We came to Colonia to celebrate our first wedding anniversary so we classed it up a bit with a stay in the romantic La Mission Hotel. Built originally as a house in 18th century, we loved the bright colors, original stone walls, contemporary decor, and central locale. Calle de Suspiros (Street of Sighs) is said to be the most well-preserved street in town and the best example of the style war between Spanish and Portuguese design. The Portuguese always built with slopping tile roofs while the Spanish underdogs always made quick-dry flat roofs since they never had much time before they were under attack again. 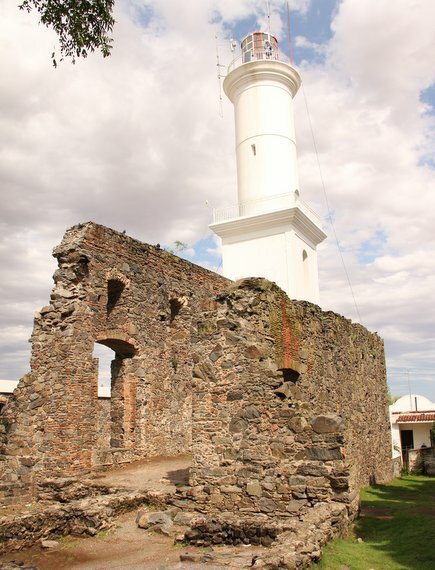 Here are the ruins of 17th century Convento de San Francisco and the renovated lighthouse behind. For a couple pesos (Argentine money is accepted everywhere in Colonia) we climbed up for great views of town all the way to Buenos Aires. 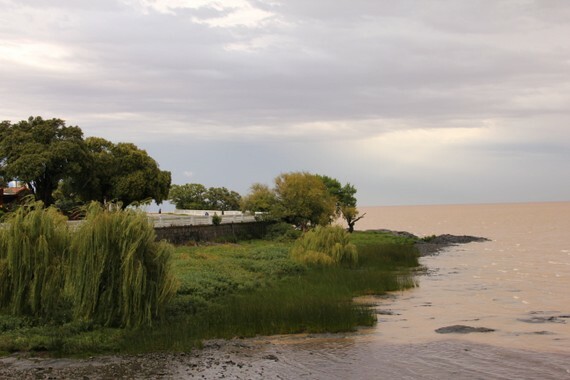 Looking at this crazy expanse of coast and water you are convinced you are on the ocean but oh no, it is the Rio Plata–the widest river in the world. Its main water source is the gush from Iguazu Falls which is so powerful it makes what would be ocean, brackish all the way past the coast of Montevideo. The milk chocolate color, weeping tree-lined coast, and a few islands make it a unique city river. The irony of the constant Spain vs Portugal battle is that they kept canonballing the town they considered home. In the case of the church, both cultures were catholic and neither had the time to rebuild it fully so the architecture is like a patchwork of Portuguese rock mixed with Spanish stucco and cement filling in between. All the restaurants along the plaza have a amazing seafood and colonial ambiance but for something a little more unique and funky, we went to Drugstore. They couldn’t have fit more colors or art on the wall and the food was just as all over the map–but in the best possible way. With the smoggy metropolis across the river, Colonia is supposed to have some of the best sunsets and with a wild rain storm right before sundown, we got the full spectacle in the sky. 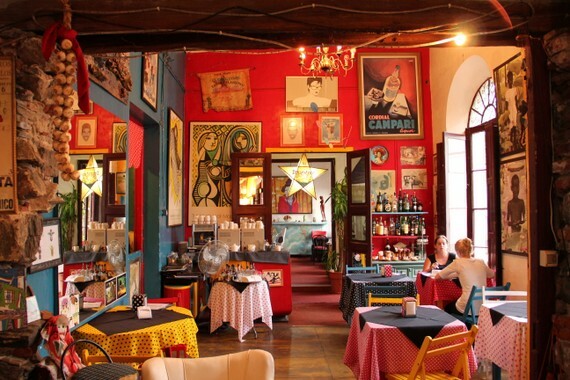 Bright colors, bold patterns, inventive reuse…decor in Brazil is anything but dreary. With five weeks and over 6,000 kilometers of travel, from the Amazon, down the coast to the big southern city of São Paulo, we soaked in our share of Brazilian style. 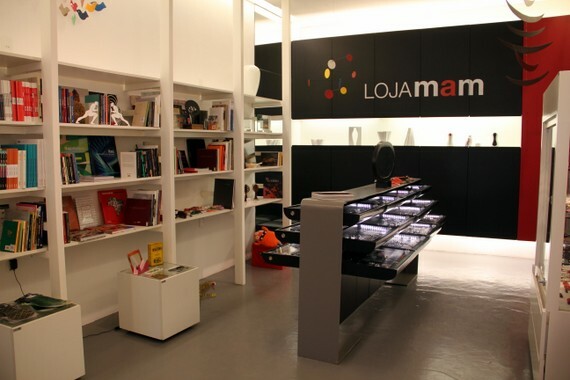 As much as I love a good design center, luxury design isn’t what Brazil is all about. 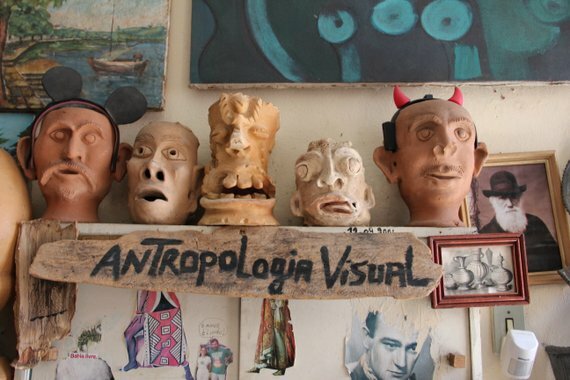 Here is Brazilian decor and all its raw beauty, charms, quirks, and creativity. 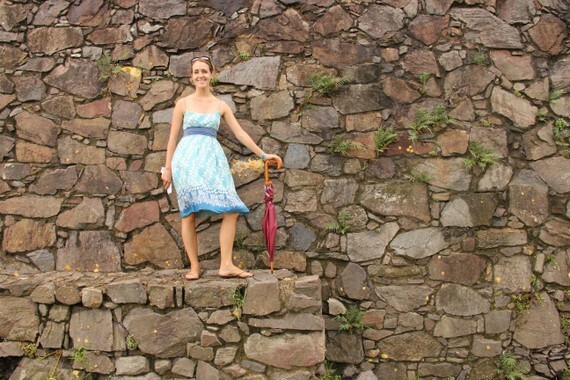 (Above) Of all places, my favorite outdoor furniture of the trip was atop Rio’s Sugar Loaf Mountain. A word on the coveted brazilwood, and foundation of early Brazilian design. It is not named after the country, the country is named after it. It grows all through the forests and with its ember-like color (or “brasa” in Portuguese) it inspired the nation's name. Today this hard wood is protected but found pieces are still used for accessories. 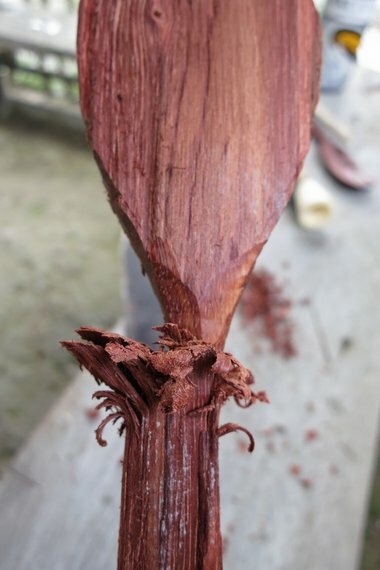 With a little help from our Amazon guide, we carved this kitchen spoon out of a stick we found. 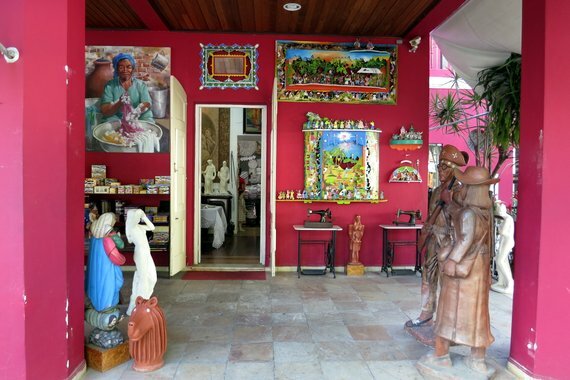 I won't get to much into folksy souvenirs, but the bright colors and happy disposition of the typical painted wood carvings are indicative of the Brazilian look and spirit. 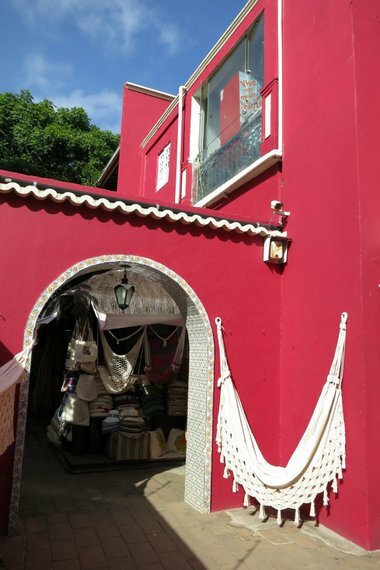 In central and northern Brazil, hammocks are an integral part of the home. More than just a backyard accessory, woven hammocks are what many people use to sleep. I was a little nervous spending five nights this way in the Amazon but it was surprisingly comfy! Beautiful, portable, and incredibly inexpensive, it's kind of a brilliant bedding alternative. 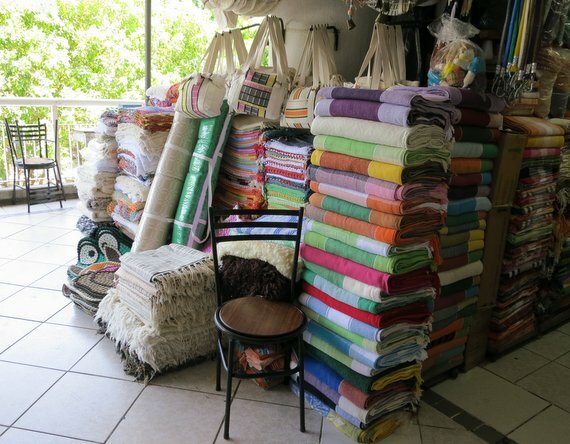 I fell in love with the flat-weave rugs and table linens that were sold all through the state of Ceara. They had the best stripes in the richest colors. 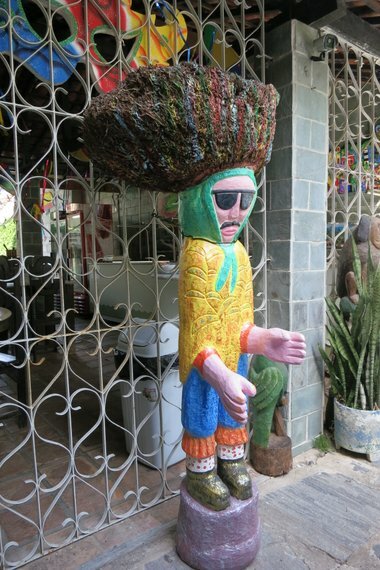 In the coastal towns of Pernambuco, sculpture made out of old palm-tree trunks were everywhere. The spindly roots make for the greatest head of hair, right? With summer weather year-round, the outdoor fabric choices were fantastic! 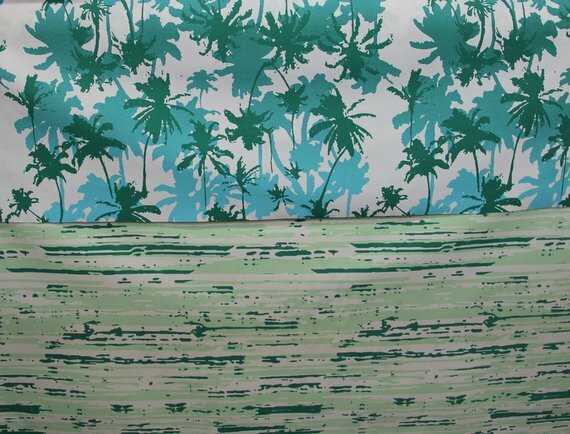 This one company Voga Ledervin had spunky prints with palm trees, sail boats and this chic splatter stripe. Lighting is made out of just about anything in Brazil. Gourds, sea shells, wine jugs, you name it. 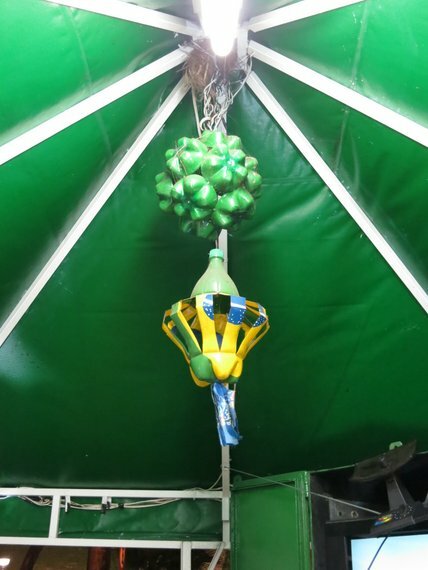 Spotted in a corner food stand, this pendant lamp is constructed from a cluster of plastic two soda bottoms and connected to another bottle slit into a modern shade. Resourceful to say the least. Adored these cheeky clay busts we saw at Cabral in Salvador. Vintage Brazilian design is fabulous when you can find it. 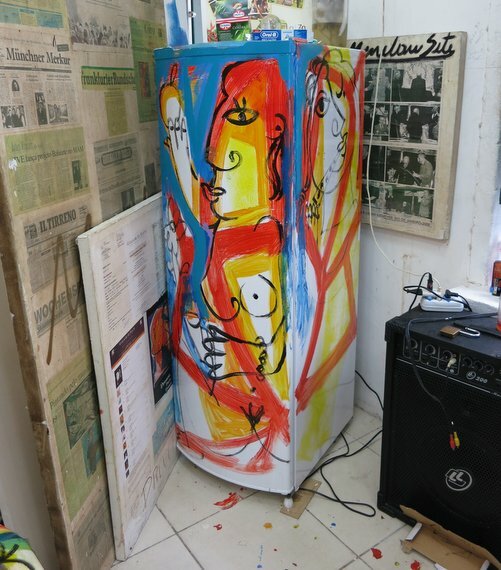 Who says a fridge should be a plain Jane? A canvas can be any ol' thing in Brazil and everything could always use a bit more color. Walking into a 20-million person city is little intimidating but with our good friend and resident Paulista, Marcelo, as our guide, we saw the sweeter side of South America’s biggest metropolis. 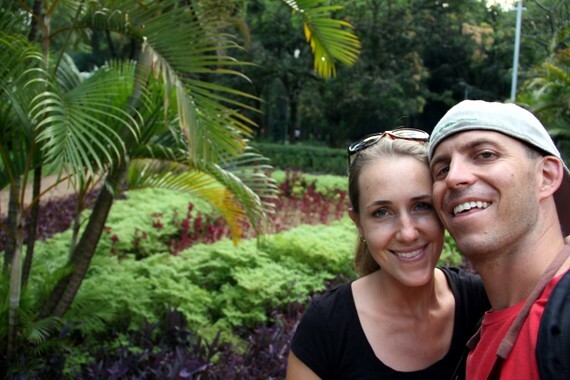 With a wild abundance of restaurants (12,500), bars (15,000) museums (110), and the craziest soccer scene, we had our hands full with good times but the day that sums up São Paulo culture and beauty was our day in Ibirapuera Park. 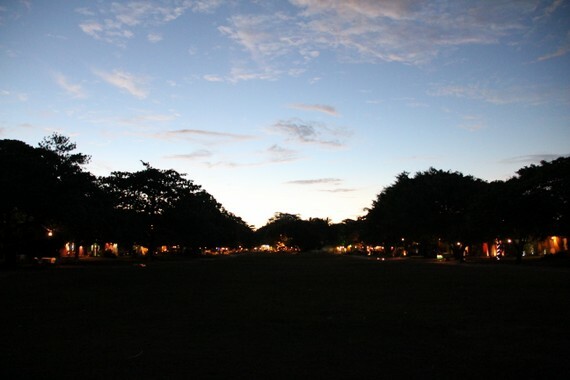 Set in the middle of the traffic-ridden urban sprawl, they call the massive city park "The Green Lung." 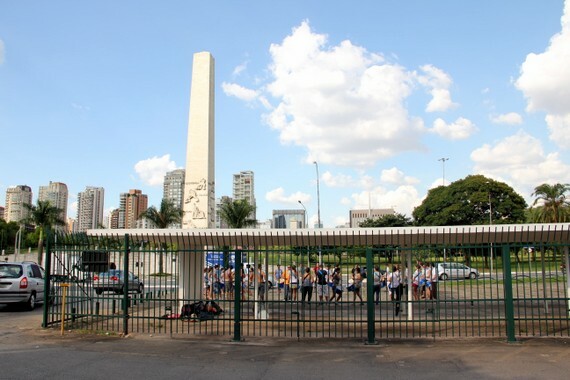 To celebrate São Paulo's 400th year, the city commissioned Brazilian all-star architect OscarNiemeyer to design the park in 1951. 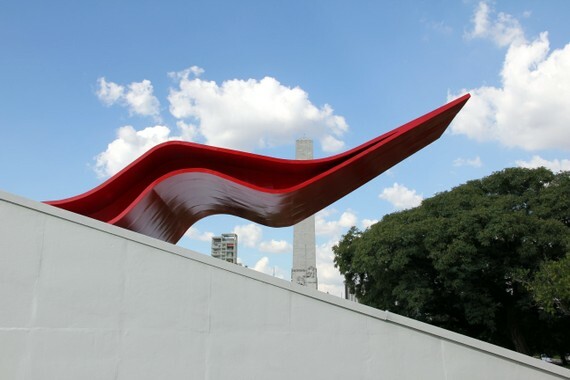 Sao Paulo doesn't have the charming architecture of the colonial cities like Salvador, but famed Niemeyer still puts the city on the map for a number of stellar spaces. Governor Garcez Pavillion is one of his many buildings in the park and throughout the city. 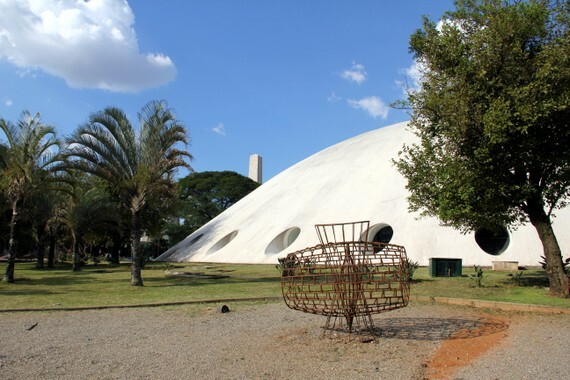 Niemeyer's Ibirapuera Auditorium is one of his most recent and magnificent projects (the 105-year old is still kicking). 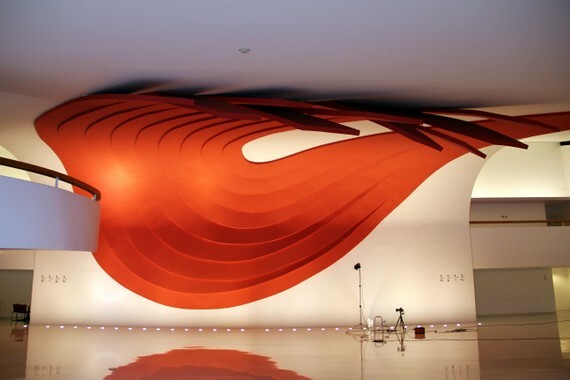 The red tongue-like entrance (top) beckons visitors in and the interior is just as seductive with high gloss floors and a sweeping red ceiling that swirls into a staircase. 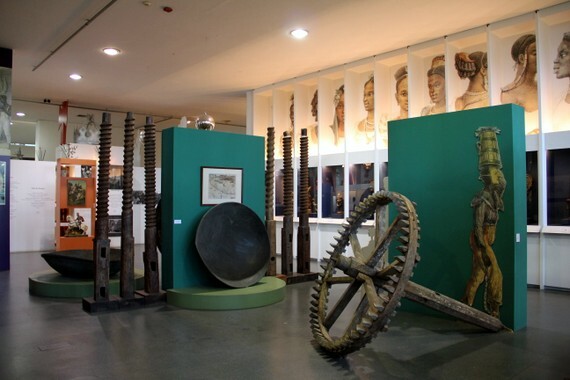 The Museu de Arte Moderna (MAM) is the most notable museum in the park (there are about five). The gift shop had some particularly good design finds too. 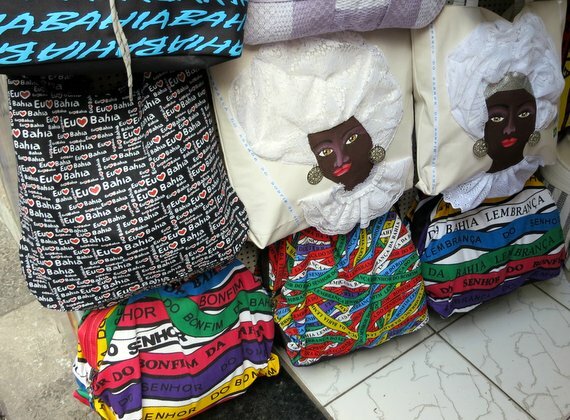 We didn't necessarily plan on going to the Museu Afro Brasil but with free admission, we couldn't resist popping in. Two hours later we were still roaming its four floors, completely impressed with the quality of the displays and range of topics--from tribal art to soccer memorabilia. 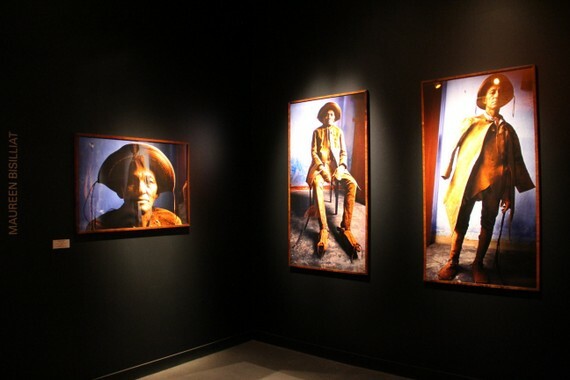 This art exhibit of early Afro-Brazilians taking on Portuguese dress and culture was stunning. At the foot of the park under the famed obelisk along the highway, a college drum troop practices some beats. Drumming is so much a part of Brazilian culture, but to see this resounding session set up under the hush of traffic seemed so practical and so São Paulo. For a little street culture in a park chalk full of museums, go to the hill behind MAM and watch the dozens of skateboarders launching themselves down the road and looping back up for more. 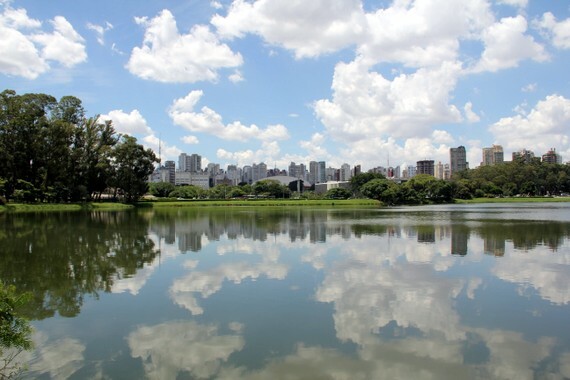 From the museums to the landscapes to the people watching, Ibirapuera Park is the best place to get bite of Brazil's Big Apple. 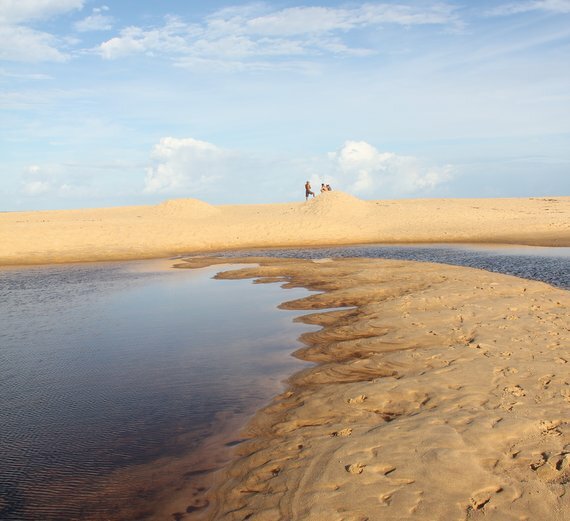 In our three-week journey down the coast of Brazil we encountered some of the most beautiful beaches I’ve ever seen, but none as chic as Trancoso, Bahia. 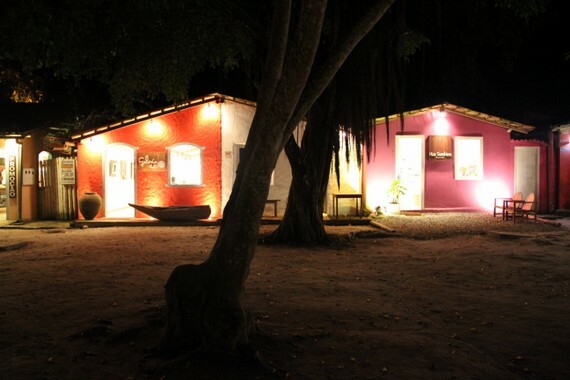 Accessed by a semi-paved road an hour from the nearest city of Porto Seguro, we bumped along assuming this was going to be a ten-shack town but instead we found the hippest side of paradise. 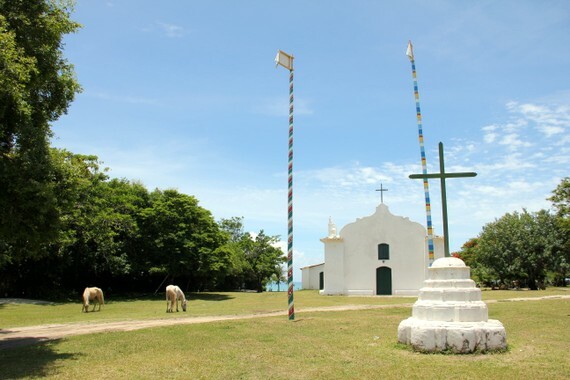 If a town's center is meant to represent a place, then Trancoso planned it perfectly with the Quadrado, a wide open field surrounded by charming cafes and colorful casas. Though obscured here, the nighttime twinkle is one of my favorite features. 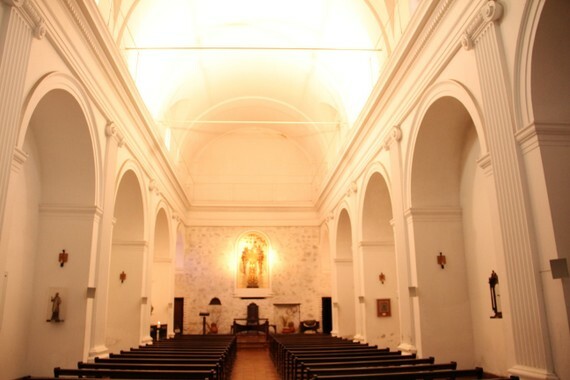 This Jesuit church was the heart of town in the16th century and still is. Though I am sure the church square still has its share of devotees, this is now where artisans sell their wares and wild horses tend to congregate. 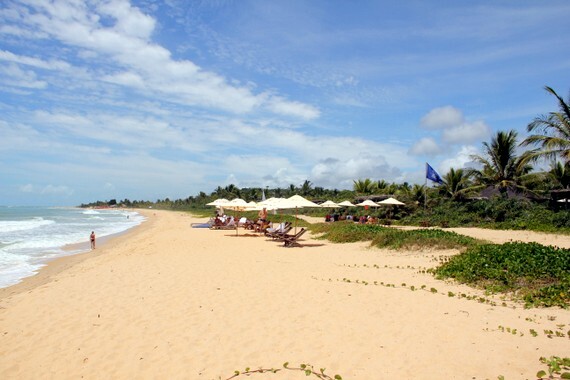 Trancoso is set on a bluff overlooking a beach filled by a system of rivers and lagoons. The change in tides keep them filling and falling, creating an ever-changing landscape that draws you down the coast. Just be warned, if you stay out too late in the day...you may have to wade part of the way home. Trancoso is far from flashy but pay attention and you'll notice the beach is full of little paths leading to luxury hotels. 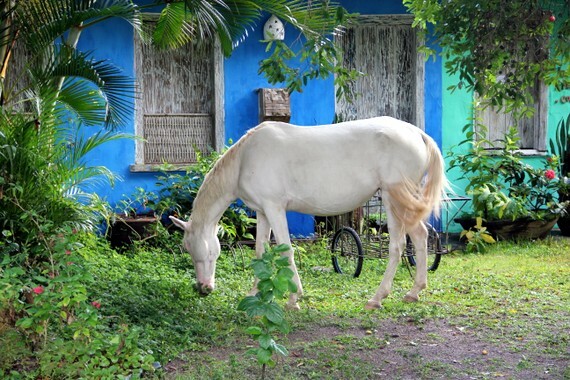 Just when you think Trancoso is all about the jetset, a guy like this will roll by to keep it real. This washed up boat was turned into the rustic chic bar, Uxia. Love the sun hat umbrellas. 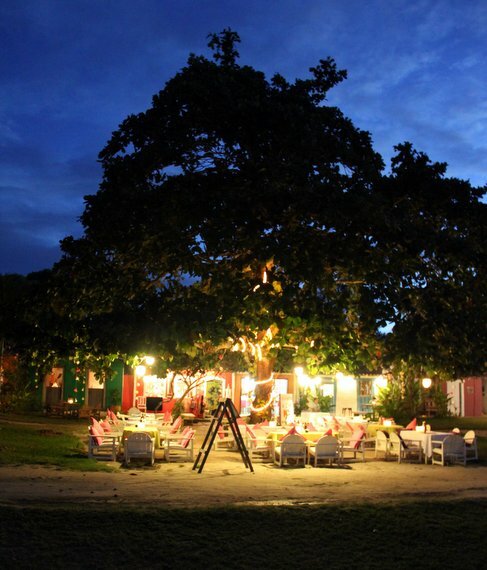 Trancoso has found the winning formula for a beach-town restaurant: massive tree for shade, big wooden patio chairs for seating, and poppy pattern pillows to draw you in. Cafe Vitoria's fun floral cushions tempted me curl up here with a book and a caipirinha. With everyone on the beach all day, the town comes alive at night with art galleries and boutiques like Galleria Fulô and staying open until 10pm or later. Relais & Chateaux is one of the most selective hotel groups in the world and there only have one property in the state of Bahia that gets its seal of approval: Estrela d’ Agua. If you want to be directly on the beach this is the spot to be. 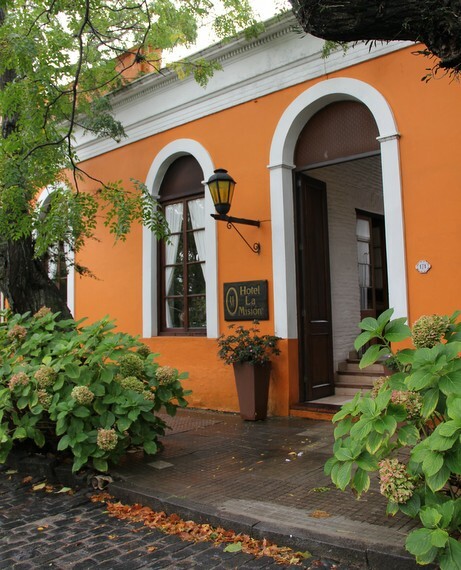 Casa Timbo is one of the chic lantern-lit restaurants under the boughs of the Quadrado but with a better price than its neighbors. Aue Zum Zum has a great outdoor music scene by night. Snag a table early or just can grab a drink at the adorable pop-up bars and listen in from a bench in the square.